Well I have made a start on all those Ideas that you get during the winter nights. All main line points upgraded to express points. Branch line extention with the addition of a small villiage. The other thing I wanted to do, was one of those drivers eye view videos. Having purchased a tiny camera to blue tack to the front of one of my RC locos, all high teck stuff here. I recorded a test run today in the rain, that will be a bank holiday then. I edited the resulting video and watched the finished product. This is the first time I have seen the railway close up, you can see everything. I have now added about 200 more jobs to the to do list! I have put the video on youtube under Goddard Junction Railway. Im having a problem uploading pics to my posts at the moment but will keep trying. I tired to find the video but could not locate it on youtube. I found it quite easily at https://www.youtube.com/watch?v=IFqKggA4WqY but I seem to be the only person to have viewed it so far. Perhaps there was a delay in it becoming watchable. Well done David. Hi David, what a find from Riddles top video well done as well, are building permanently in place on your garden railway, I chocking everyone when I put the first ever video on my post of the first test loco hopefully very soon. Where I have single and double slip cross overs I will express points, for the rest of the layout medium points. .Quite easy to post pics on the forum now, at the bottom of the post there is an attachment choose files which goes straight to your pic folder choose a pic open it and bingo so easy once you do the first pic a little harder posting pics from your gallery. Be looking forward to seeing some pics of your layout. Tony from cold down under keeping on moving ahead. YAY! Thanks for linking it directly Tony. Had a nice ride over the lines just now . 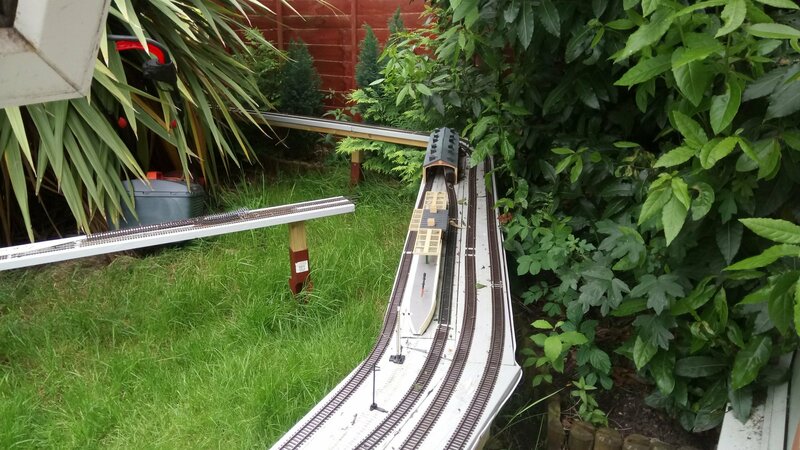 Hi David, what a find from Riddles top video well done as well, are building permanently in place on your garden railway, I will shock everyone when I put the first ever video on my post of the first test loco hopefully very soon. Couldn't find an edit, I made a spelling error, this is the only way to fix the error spelt shock wrong. just found the edit after quote. HI Griff, was the nice ride on the line to do with picture posting or the video clip, I am still raving about the video, Dave has done a great job even in the construction, I will put on my latest work on my layout, got the sheet of 12mm ply had to make two cuts to fit in my car with the seat folded down. Next job to do after the bus wiring on the first front corner modules.is cutting and screwing in place the frame work on the first two approach modules coming from the car port. Tony from down under keeping on moving ahead. Thanks for your supportive comments. I am still new to this part of the hobby. That is why all your comments are so welcome and helpful. 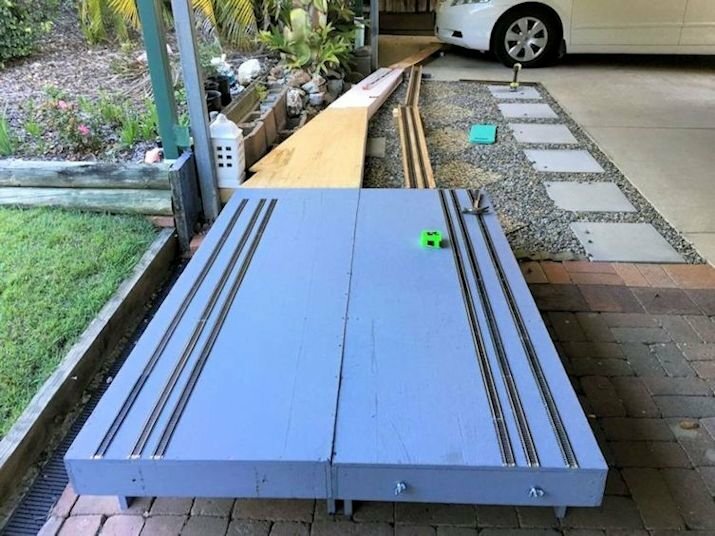 Tony, that looks a mighty strong baseboard looking forward to following progress on your layout. Just posted another short vid on youtube. link above. I must get on with the point rodding and ballasting. Heres to a good summer. Hi Dave, wow you have done well being new into the hobby the construction of your layout is spot on same with the track playing,, thanks be free to comment on my post as well , again a top video enjoyed watching, be a long while before my layout turn out like yours. The modules have to take a lot when lining them up same with the curved sections, sadly I can't have a permeant layout, module design taking longer to build and do the bus wiring needing plugs on every module, at least the layout is plug and play and not taking long to set up. How long did it take you build your layout, pure awesome. How did you go with posting any pics, still having a problem chat to Mick, be looking forward to seeing pics and more video. 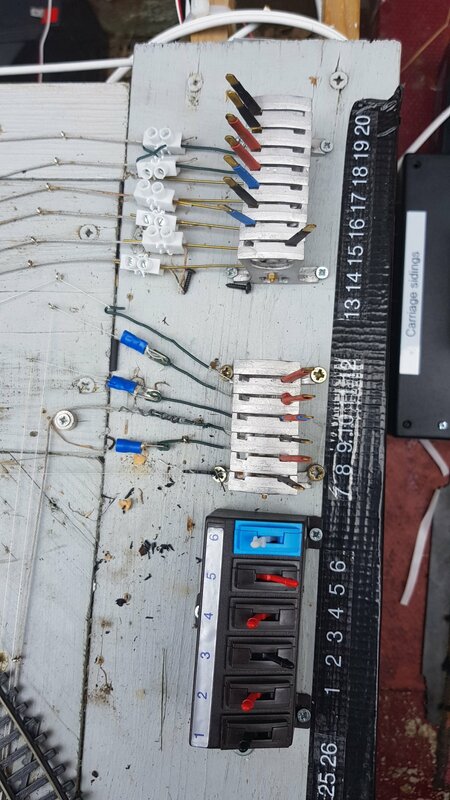 I did some bus wiring on the front corner module yesterday got soldering the feeder wires to the track down to a fine art now, not doing anything today my asthma is playing up, winter is here. 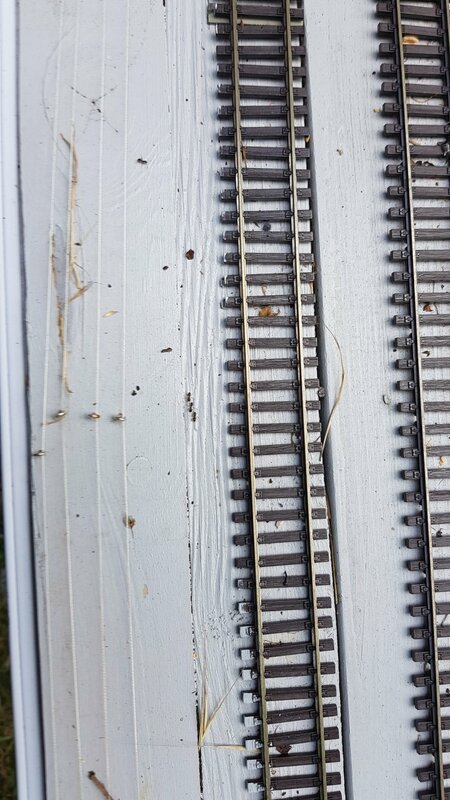 Here are a few photos of the Goddard junction railway layout. All the buildings are glued down after I collected them from the grass having been blown off by the wind. Lights are installed in the town and stations. I have used outdoor timed micro led sets (about £3 each from eBay) they come on for 6hrs and off for 18. So far so good with the Mercontrol signal and point levers. The best control wire seems to be 30lb fishing line. My 1mm steel rope wire in tube idea failed as it binds too easily. Tony, thanks for your advice. looks like the photo upload issue was the file size of my new phone camera. I went back to my old phone for these pics which uploaded fine. Here are two night shots. Sorry they are a bit blurry. Looks like the peminANT way gang is at work today. 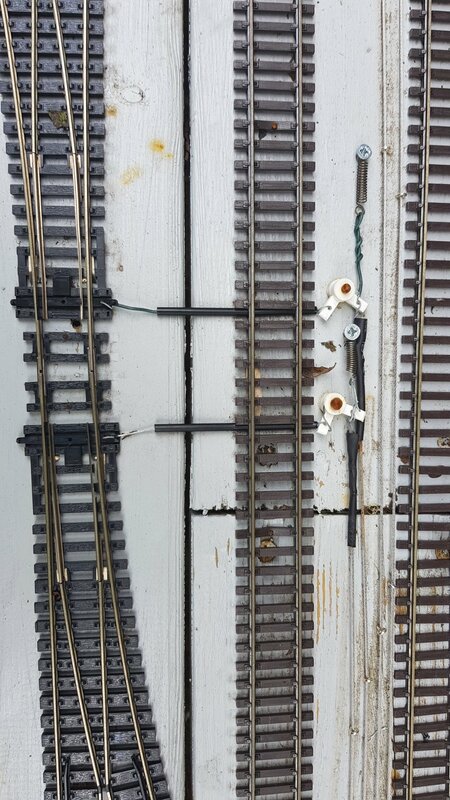 Wow done Dave1013, you sure have broken all track gang records and yet another 00 scale outdoor layout is born, I would love to spend more time on my layout, I have been working on the approach module the last couple of days, today I will paint the module top ready to lay track, points and bus wiring. IN your second last post the last pic caught my eye I reposted it , very interested in the point leavers where did you get them from and like to see some more pics of how to a liking the wire to the points, I am thinking of doing the same with the modules close to the control panel, motorising the points furthest away. 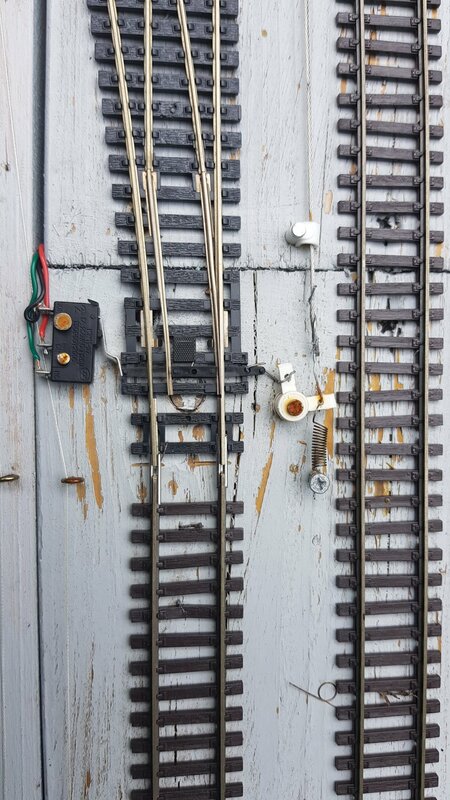 I am aiming for Christmas this year to run the first test loco around the whole layout and front of the layout end of July had a set back in June. Love your village all lit up at night, I am planning a village in the garden in front of the car port be a branch line. Keep the pics and video coming well done. Tony from down under keepin gon moving ahead. Thanks for your comments Tony. I have a total of 14 mechanical levers, 12 are in use with 2 spare. They control 8 sets of points and 4 semaphore signals. Each lever is connected by a 1mm steel wire rope with a return spring to keep it taught. The lever frames are made by Mercontrol I'll find a url address for them. Weather was too wet to take photos today, I'll have a go tomorrow. Hi Dave1013, be looking forward o seeing closer pics of the leavers, , I saw on eBay them going for 4pounds set of 6 leavers,, the module I am working on now has 14 points on it will need a few leavers, will check them out be great when you find the address. 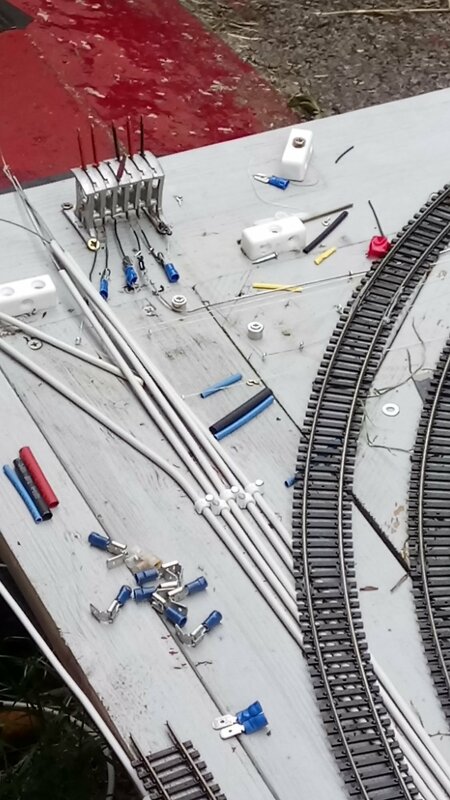 Being raining all night here, rain has all gone to a nice bright Sunday morning, wife wants to do some house cleaning, new washing machine arriving tomorrow, they don't make them to last, no work on my layout, wait till tomorrow now designed a new bus wire plug panel quicker to build as well. Many thanks Tony from down under keeping on moving ahead. Here in the UK it was also a dry day but not so sunny. I know what you mean about household electrical goods. Same here. Gem Mercontrol groundframe levers can be found at www.lytchettmanormodels.co.uk. there are several levers both single and frame. My system does not use the wire in tube method due to the distance involved. Levers 1 to 6 are servo switches. The rest are Mercontrol lever frames. An 8 way and a 6 way . These connect to the points with steel cable running through tiny screw eyes. At the point it connects to a bell crank and a tension spring. So far so good, I can adjust the cable tention at the lever frame. There is a different approach with the 6 way, I m using heavy duty fishing line to operate mostly signals on this frame. The same spring tensioner is used. This one has a mini microswitch to change a point position signal. The servo switches control a servo controller and servos which throw points that are difficult to run manual cables to. It has taken a few attempts to come up with the current system. Both the steel 1mm cable and the 30lb fishing line work as well as each other mechanically, the steel cable looks better though. The furthest signal under manual control is 18 feet and 17 feet for a point. Most are much closer. Hi Dave, thanks for the pics and link will check it out, I will only be using the leavers close to the control panel, have though of servo's to switch , which ones are you using and the price, 6 volt are cheaper, that means a 6amp trannie, I rather go for the 12volt servo's. A while back IanR started a thread on outdoor points and used the car locking door motors great for out door use as they are water proof I am looking into doing the same, going to check the wreckers first, half the price to the point motor but a challenge to set up, Mick did it as well I keep the post going, the points furthest away from the panel be motorised with LED lights showing straight or curved and be used for the passing loops as well. Great idea on the last pic the way you set up that switch, I will have a go at doing the same save having to modify a SPST slide switch and more strain on the point motor, I have a lot of Peco point motors and those switches will replace hose hopeless Peco point motor signal switch at quarter of the price as well, awesome stuff keep the good ideas flowing Dave. How big is your layout, in one of your pics I noticed a peninsula jutting out close to the station about four posts back on the set of pics, I decided to repost the pic . I am ready to go to join up the tracks from the first approach module to the last station module,, my layout is a module garden railway why it is taking longer to build, being busy with the bus wiring making mini plug panels on each module, designed to be plug and play, also working on designing my own double deck bridge spanning about 27feet main span be about 14feet, looking at a coat hanger design and using ideas from the Oresund bridge between Denmark and Sweden, keep an eye out on my post the next few days. Thanks for your comments Tony. The layout is 25 feet by 12 feet. I have taken out the peninsula track and 're routed it to be a freight line. I will definitely keep an eye on your thread especially the bridge as I would like to have a bridge on my layout. I'm intrigued by the coat hanger system you refer to. Don't worry about how long your layout is taking to build. From what I have seen so far you modules are awsom. More pics from Goddard Junction soon. Hi Dave1013, that is sad to hear at least you have found another place for the peninsula on your layout, will look forward to more pics of your progress. 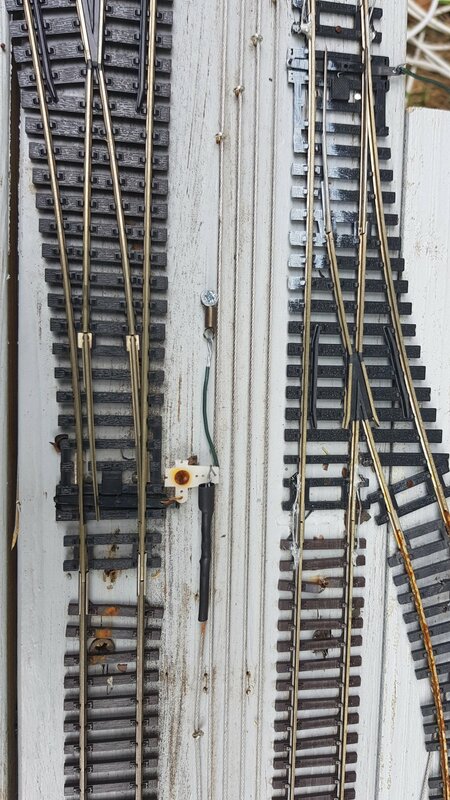 Many thanks for your comments what keeps me going, Mick took 4 years to build his layout once I get past the station and approach module the rest be easy, most of the decking for the layout is cut out and some of the bridge decking. Many thanks, I like to make sure the module is solid so it wont warp in the garden shed in summer. Oh yeah should of explained it better the coat hanger design what our Sydney Harbour is and the one in the pic what my design be like but it will be a double deck bridge be building the arch in 4 pieces, the ply isn't 7feet long I be marking the arch out on , will look awesome, the rail deck will only have a single track. I was going to build a model of the Oresund Bridge double deck cable stay bridge, it has double track, would cost a lot with having to cut 40 lengths of 5mm dowel on my design will only need a few lengths the arch is 18 high the road deck will have four car lanes, I am trying to figure out a way where I don't waste too much ply cutting the arch. How is your summer going, it is going to be cold here tonight they say 2 degrees we will drop down to zero or in the minus as we are a few degrees difference where the weather station is at the RAAF base Amberley.. 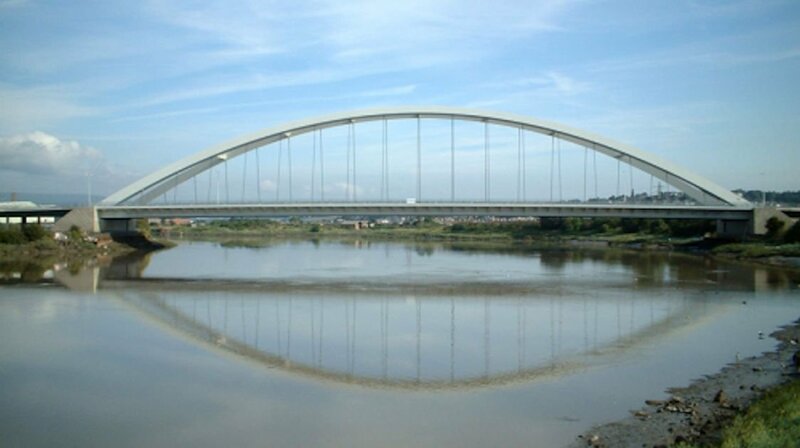 I like the look of that bridge Tony. Using that design will make the whole thing nice and rigid. I will need to remove it occasionally for access.